So I have been getting a lot of requests for yard signs. Believe it or not, those can be a little expensive. The sign company I have been using had a price of $10 per sign with a minimum order of 50 signs. I said, “That is great, but I am under a very tight budget, so let me know if you have any ideas on how to cut the cost.” Living under a budget is actually a good thing. It forces one to prioritize and decide what is important. Something all politicians should do. It also helps create innovative ideas. Just like in this case. My sign company said, “If we go with a 12”x24” sign (instead of the standard 18”x24”), it will lower the cost even more.” Not only will it save me money, it will actually stand out from the rest of the political signs blighting the landscape. So, I have 50 signs coming and would like to get them on high traffic areas within the next week. 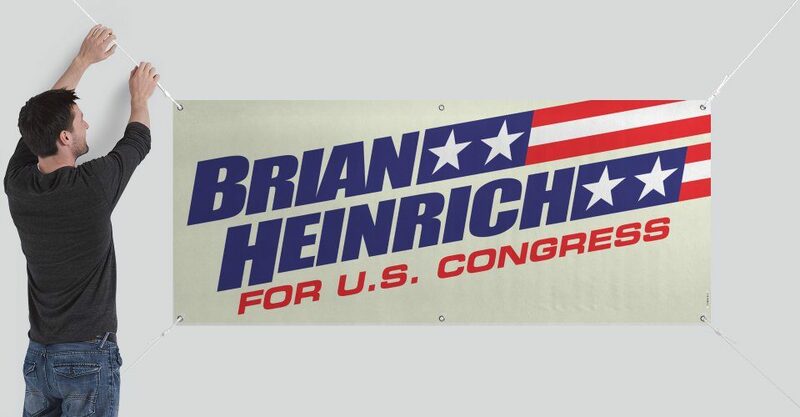 If you feel you have an ideal location for a sign inside District 1, please email me at heinrichfororegon@gmail.com and I will deliver it personally to your door. Thank you again for your continued support. This has been an amazing adventure and I can’t wait until November 8th.